July 12: Peter Manseau — The Apparitionists: A Tale of Phantoms, Fraud, Photography and the Man Who Captured Lincoln’s Ghost. Chosen by Publisher’s Weekly as One of the Ten Best Books of 2017. Ivy Pochoda — Wonder Valley (fiction); Chosen as one of the best books of 2017 by NPR and LA Times, and book of the month by Oprah Winfrey and EW. July 19: Christopher Wren — Those Turbulent Sons of Freedom: Ethan Allen’s Green Mountain Boys and the American Revolution. Wren was New York Times Bureau Chief in Moscow, Peking, Johannesburg, Cairo and Ottawa. Lauren Groff — Florida (short stories); her previous novel, Fates and Furies, was a finalist for the National Book Award in fiction, the National Book Circle Award, and the Kirkus Award. Was Amazon.com #1 book of 2015. July 26: Howard Mansfield — Summer Over Autumn: A Small Book of Small-Town Life. Mansfield is the author of eight previous popular books about local history, architecture, and preservation, including In the Memory House and The Same Ax Twice. Robin MacArthur — Heart Spring Mountain (fiction). Macarthur’s previous book of short stories, Half Wild, was a finalist for the 2016 New England Book Award, and chosen by Barnes & Noble as a “Discover Great Writers” book. August 2: Lloyd Schwartz — Little Kisses (poems); Author of three previous books of poetry, Schwartz is the classical music commentator for NPR’s Fresh Air and the winner of the Pulitzer Prize for Criticism. Joan Silber — Improvement (fiction); Winner of the 2017 National Book Circle Critics Award in Fiction, and Winner of the 2018 PEN/Faulkner Award. She is the author of six previous highly acclaimed books of fiction. All readings start at 7:30 at the Meetinghouse, Canaan Street, Canaan, NH. 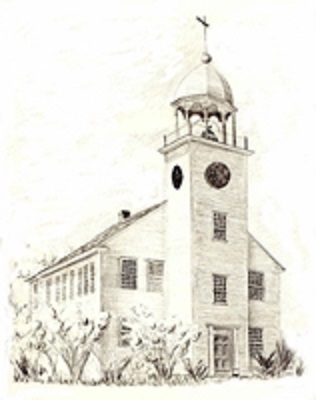 Enter your email address to subscribe to this receive rare but precious Meetinghouse bulletins!